Combine crushed graham cracker and pretzels in serving dish. 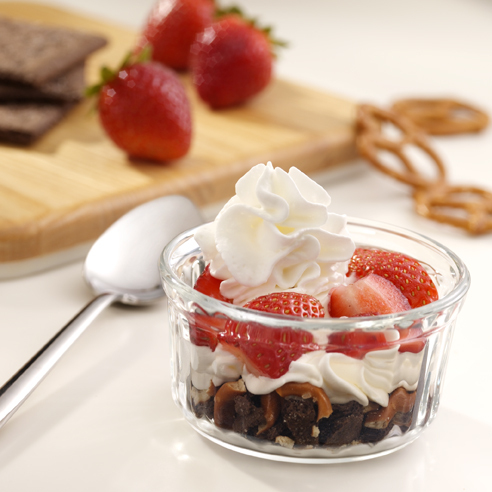 Top with one serving (2 tablespoons) Reddi-wip, strawberries and another serving Reddi-wip. Serve immediately. If chocolate-flavored graham crackers are difficult to find, substitute 6 chocolate bear-shaped graham snacks for the cracker and the calories will be similar. For another 100-calorie variation, substitute 2 vanilla wafers for the graham cracker. Proceed with recipe as directed.